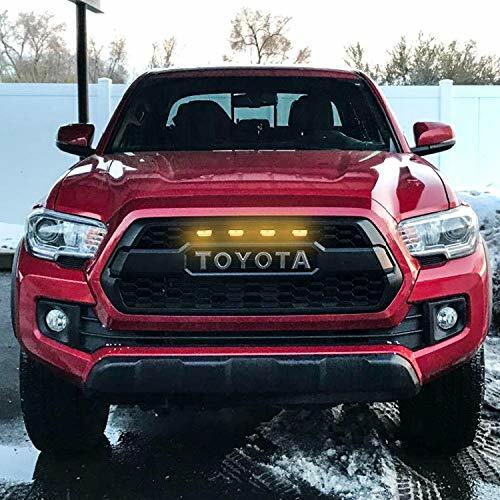 PERFECTLY DESIGN FOR 2016-2018 TACOMA TRD PRO: Seven Sparta Toyota Tacoma grille lights are designed and made exclusively for Tacoma 2016, 2017, 2018 TRD PRO grille. 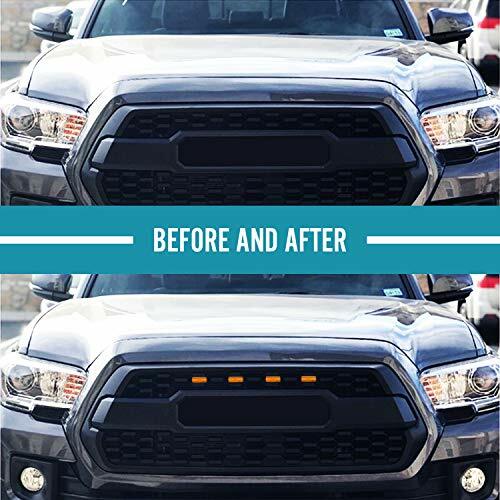 Tacoma grille led amber lights will give your Tacoma a new look on the road. 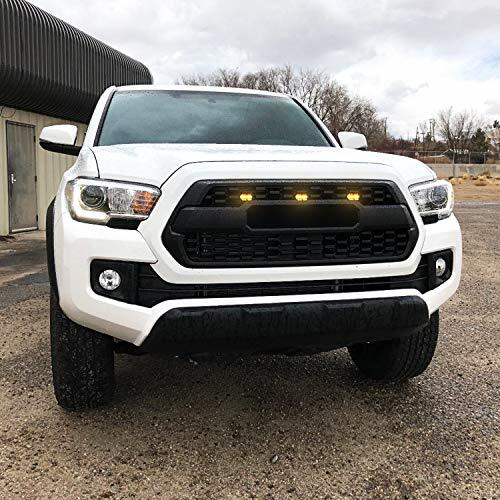 SAFETY DRIVING: With 4 PCS Tacoma TRD grille lights, your car can easily be seen on the rainy days or foggy days, and keep your safety when driving down the road. 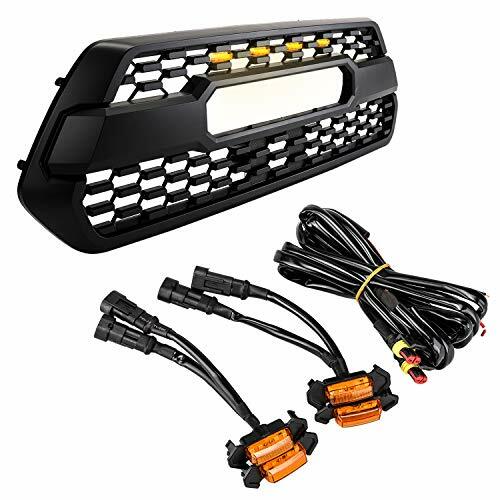 QUALITY ABS PLASTIC WIHT AMBER LIGHT: This excellent ABS material can prevent scratch, water and corrosion and will not fade even exposed for a long time. 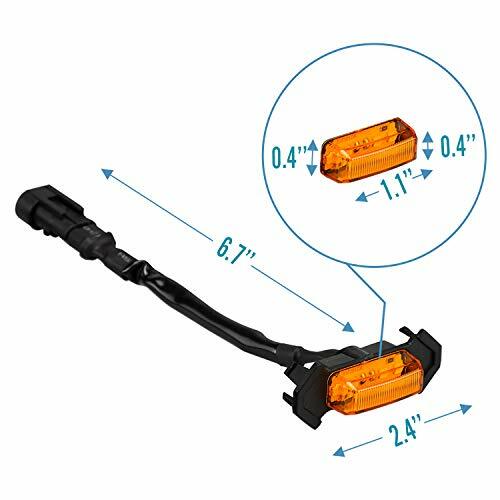 Amber is the best light you can have for snow trails or at night. PLUG & PLAY: No drilling required. 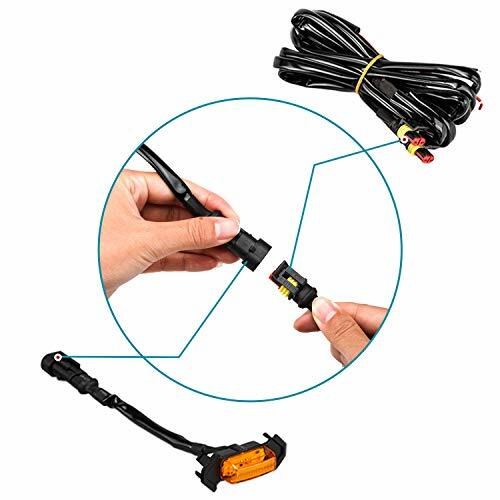 The installation is super easy and it only takes 15 minutes to finish installation. Just insert the light into a mesh hole you want it in. Video on YouTube can help you install it easily and quickly. NO-RISK PURCHASE! UNCONDITIONAL 30-DAY MONEY-BACK GUARANTEE. If you're unsatisfied with this item for any reason, we'll immediately refund your purchase price within 30 days. 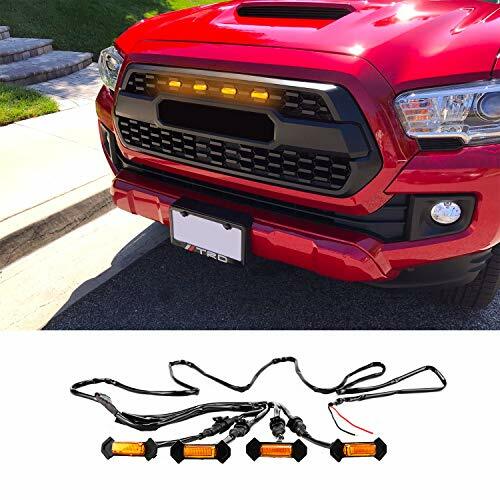 I got these to give to a friend of mine, as a sort of "congrats on your new truck" kind of gift. They've had the truck for a couple of weeks, but they mentioned they wanted something to make it stand out a bit from the rest. Buy and Earn 1600 Points!